This is one of my all time favorite wedding images. I noticed during their ceremony that the sun fell through the stained glass window and left a gorgeous colorful pattern on the floor. 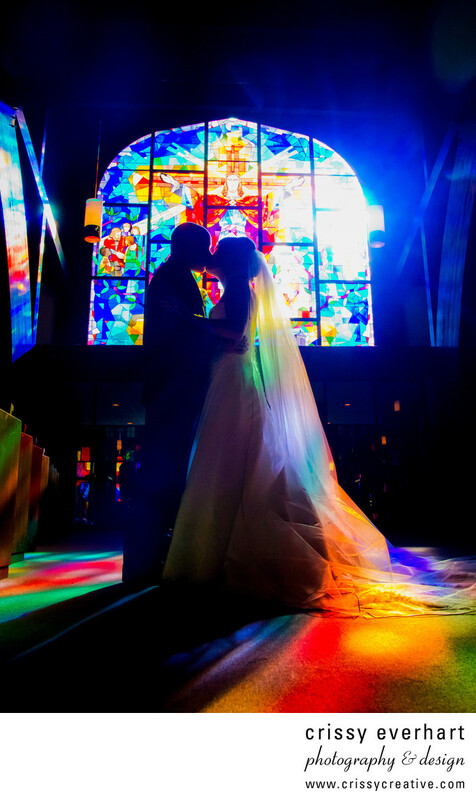 I positioned the couple between me and the window so I could photograph a silhouette, and let the colorful rays of light be the main focus of the image. Location: 3015 Chestnut St, Lafayette Hill, PA 19444.